Is Video Marketing Just A Fad? Over the last few days, some interesting stats have been coming out of the 2017 Digital Content NewFronts Event. According to the Interactive Advertising Bureau, the average annual ad spend around digital video content for high-end Agencies and Marketers will be $4.4 million for 2017, nearly doubling from $2.4 million in 2015. As these graphs show, video marketing is clearly NOT a flash in the pan fad. As more and more companies come on board, video marketing is fast becoming the primary way businesses connect with their customers. What this means for you is that there’s never been a better time to create compelling videos to take advantage of the advertising opportunities now available. It also means that there is a new opportunity opening up for small businesses to provide video creation services to big companies that don’t have video production skills in house. In SEO news this week, Google has launched Direct Feedback Tools as another step towards eliminating low quality and offensive results from its index. These feedback tools will make it much easier for people to directly flag inappropriate content that appears in Autocomplete predictions and Featured Snippets. Google will then use this feedback to help improve their search algorithms. What this means for your business is that Google IS taking action to improve their systems following their recent bad press. In the same way that they stamped out black hat SEO techniques, we think it’s safe to say that Google will quickly eliminate the offensive content from their search results. When you think about Disney, you probably think of it as the ultimate entertainment source for the younger generation. I'm sure you remember falling in love with a Disney movie as a kid or perhaps sharing that amazing experience with your own child. Well, what if I told you that in a recent poll of tens of thousands of Americans, YouTube received a net favorable score of 71 percent, beating out Disney’s 63 percent by a full 8 percentage points. In fact, YouTube beat Disney’s scores in every age group, except people aged 65 and up. What this means is that YouTube is becoming the entertainment channel of choice for younger audiences. And the best thing about this is that you and your business can publish content to this channel in exactly the same way the big brands can. 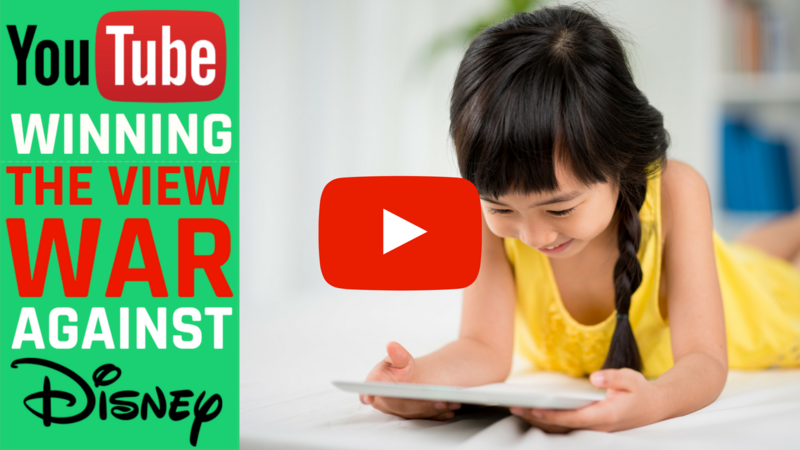 So if you haven't already got your YouTube channel set up, now is the time to get started and give Disney a run for their money! In our latest Webinar, we took you behind the scenes and showed you the new features we’ve just added to Content Samurai. We also revealed some game changing features that are coming down the pipeline, and we discussed where we see the app heading in the future. If you weren’t able to join us for the webinar, click on the image to start watching the replay now!